We spent Thursday night to Sunday morning up north, at Craig's family cottage in Shawano. 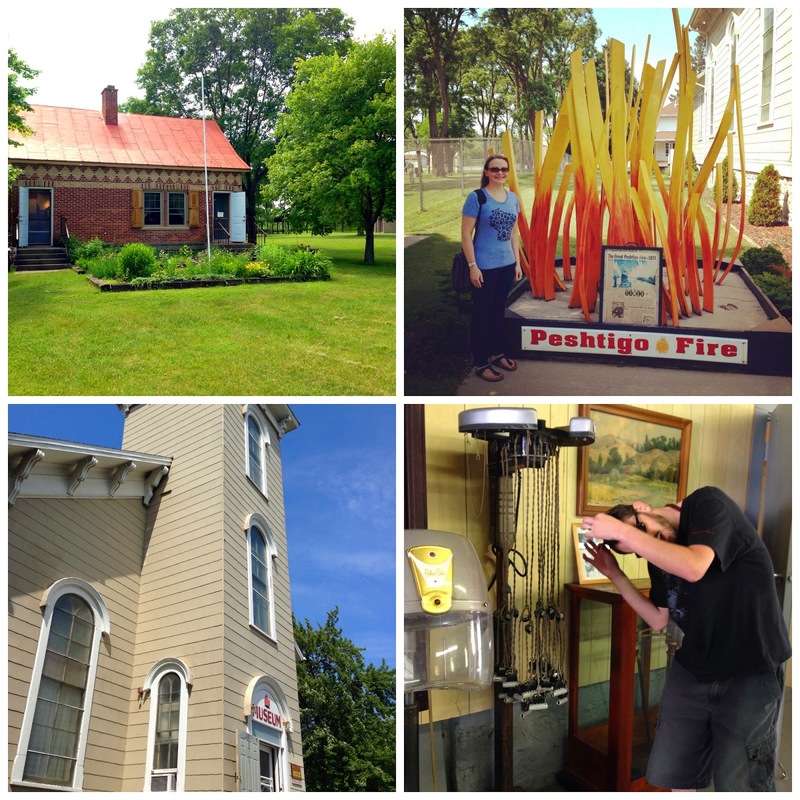 On Friday, we took a day trip to Peshtigo, Marinette, and Menominee, Michigan. We started seeing these signs on our drive into Shawano, which made us laugh every time. 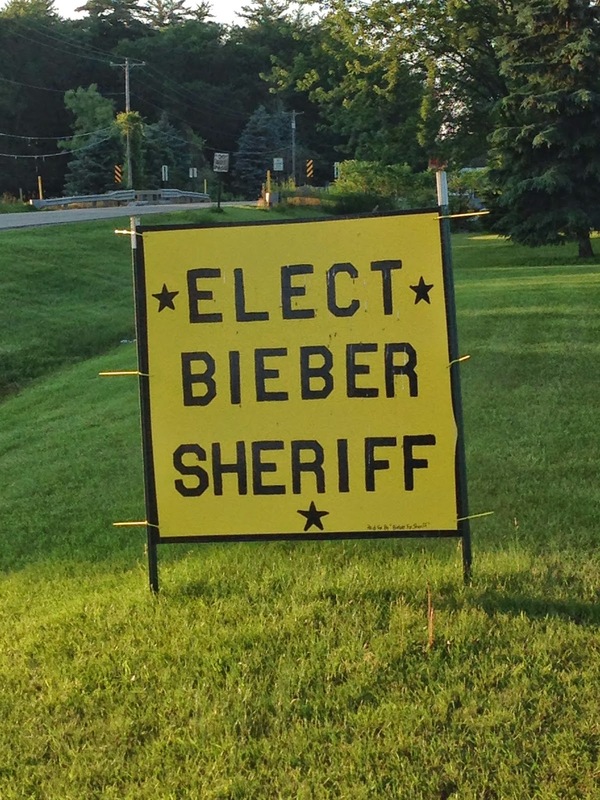 There is a legitimate guy running for Sheriff whose last name happens to be Bieber. I think candidate Bieber should have made better light of his famous last name on his signs. It was raining on Friday morning, so we ran into town for some breakfast and to Walmart after. I was happy to find a product I was sent a coupon for to review through Influenster and had no luck finding near us. It's the Freeman Beauty Spa moisturizing massage cream and I really like the product so far. After the rain cleared, we started out on our little day trip. We started in Oconto, at Copper Culture State Park's museum (pictured below top left). I had heard about the park on Wisconsin Public Radio recently. We got a little tour from a very inexperienced museum educator and then were on our way to Peshtigo. My dad lived in Peshtigo for 6 years and his family owned a store in town. Craig had never been there, so I wanted to check it out with him. 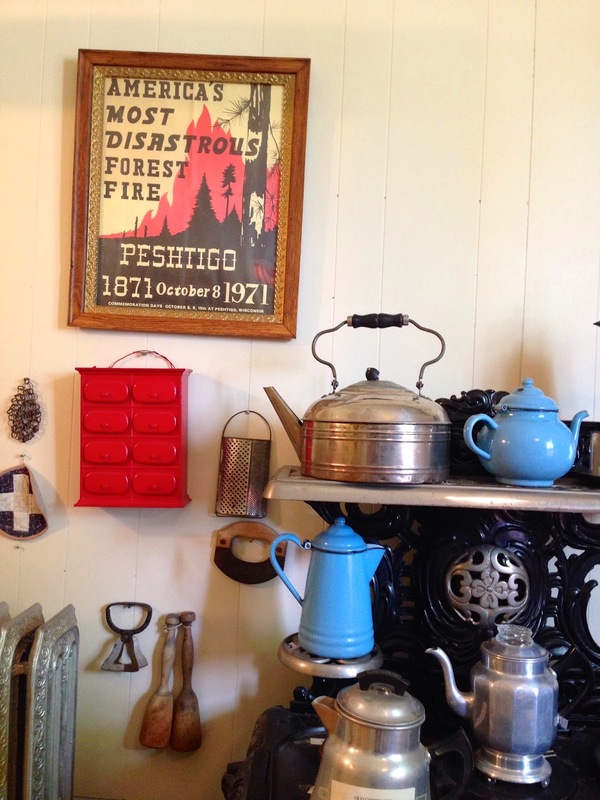 There wasn't much left to see and no family members there to visit anymore, so we ended up at the Peshtigo Fire museum. We got a little tour and the lady who gave it to us ended up knowing my Aunt and where my grandparents' store was located. After visiting my grandparents' and Uncle & Aunt's graves on the way to Marinette, we went through town and right to Menominee, Michigan. We saw some kids eating ice cream as we walked along the pier, so that sold us on finding our own waffle cones. I got chocolate peanut butter in a homemade cone! Yummy! 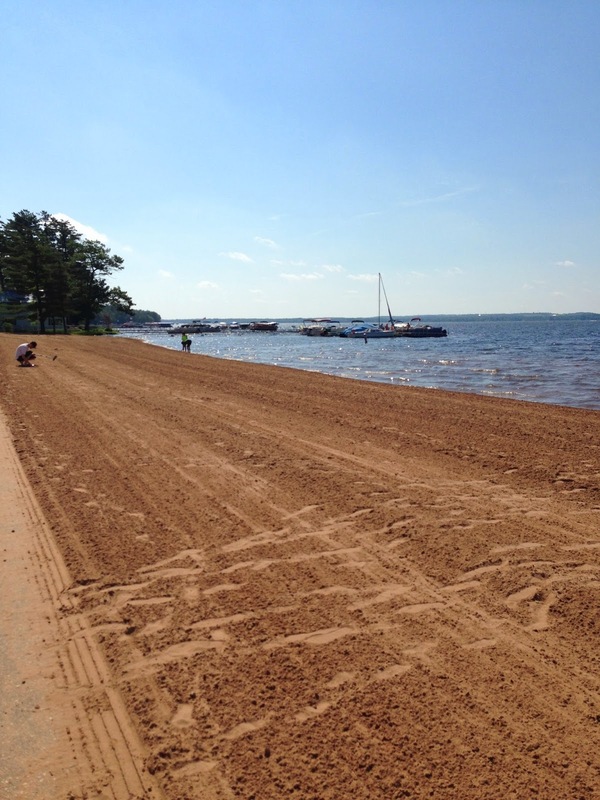 On Saturday morning, we drove over to Shawano beach. I completed a pretty good workout that consisted of running through a campground, walking a lot and using a park bench to do step ups, tricep dips and push ups. The beach was fun to walk and run along multiple times. Such beautiful views! After showering, I had to quickly get ready so we could make it into town to get to the farmers' market by noon! We've been before and their selection is ok. 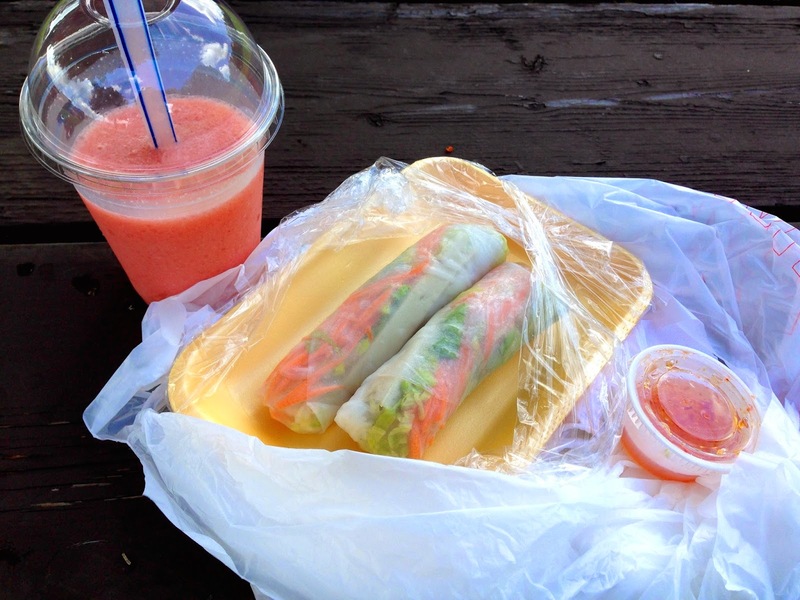 I didn't buy any produce, just a strawberry bubble tea (with no bubbles, meh) and some spring rolls. It was Craig's first time trying bubble tea and while it didn't really taste like the ones I had in California, it was still good. I loved the spring rolls and vow to make them at home more often. Craig spotted a Little Free Library near the market. I'm a tad obsessed with them and loved the design of this one. It is a quilt barn, which is commonly spotted up north. The rest of the day, we just lounged around Craig's family's cottage, read books, watched TV and sat outside a little bit. I was growing disinterested with one of the books I brought, so I started reading The Sweet Life in Paris by David Leibovitz and I'm really enjoying it so far. While I enjoyed getting away from home for a little bit and doing something different, I really missed the kitties. I couldn't wait to get home and snuggle them again. We lounged around all Sunday afternoon and they couldn't seem to get enough of my love! Happy Friday! 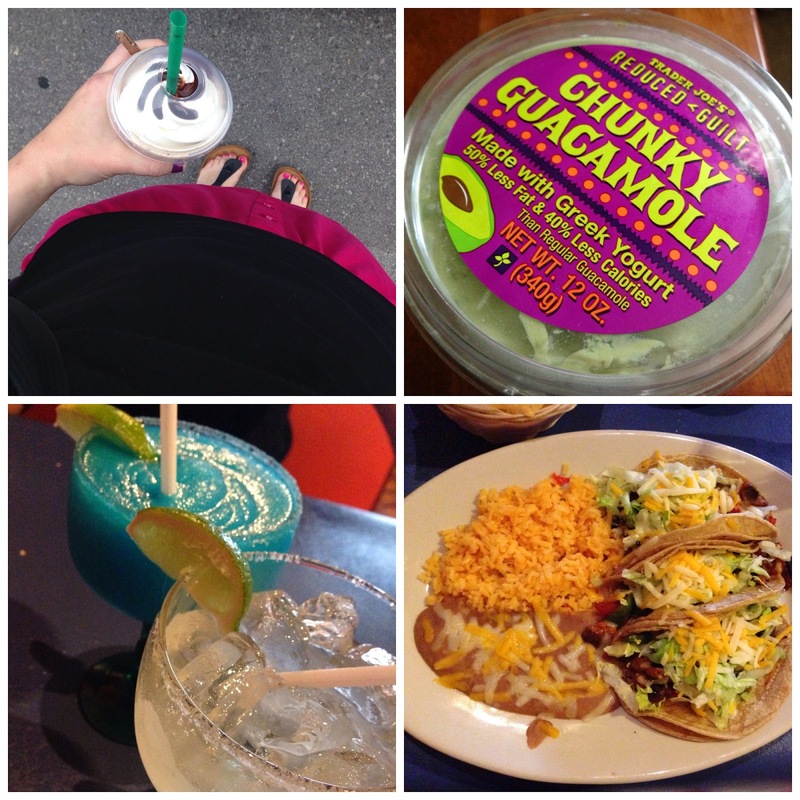 I thought I would share a few things I've been loving lately! I bought these Birkenstock Gizeh Birko-Flor Thong sandals for my birthday last year, but because of my ankle surgery, I didn't get to try them out until this Spring. I saw them on so many women in Germany and thought they looked cute with shorts or skirts. Alysha also recommended them to me, so I knew I had to just order them. I am so glad I did because they're comfortable, have arch support and they're so light (especially compared to the Birkenstocks I owned in the late 90's). They have great arch support! I want to purchase more colors now. I tried a class called Burn Lab at the gym on Tuesday and loved it! The teacher was actually my yoga instructor from when I did yoga at work a couple of years ago. She is a very young and excellent teacher and I loved the exercises we did. I walked away really sweaty and feeling great! I went on a walk around our neighborhood after to cool down. I recently read that jumping rope is good for maintaining bone health. I looked around for a jump rope for a while, but finally settled on this one from Target. I adjusted it, but it's still pretty long. I enjoy acting like a kid again by jumping in our driveway! 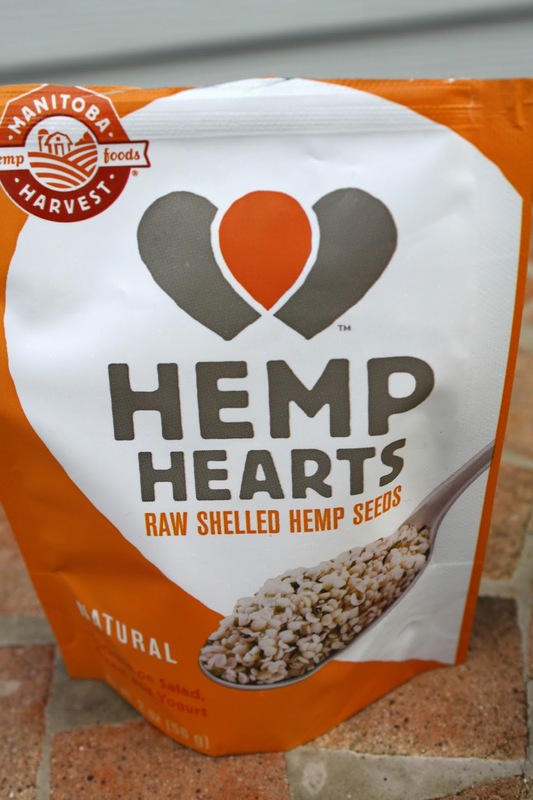 Hemp seeds in my salads and wraps. I got these in a Conscious Box and I would purchase them again! They're full of amino acids and protein, which is perfect for this vegetarian. 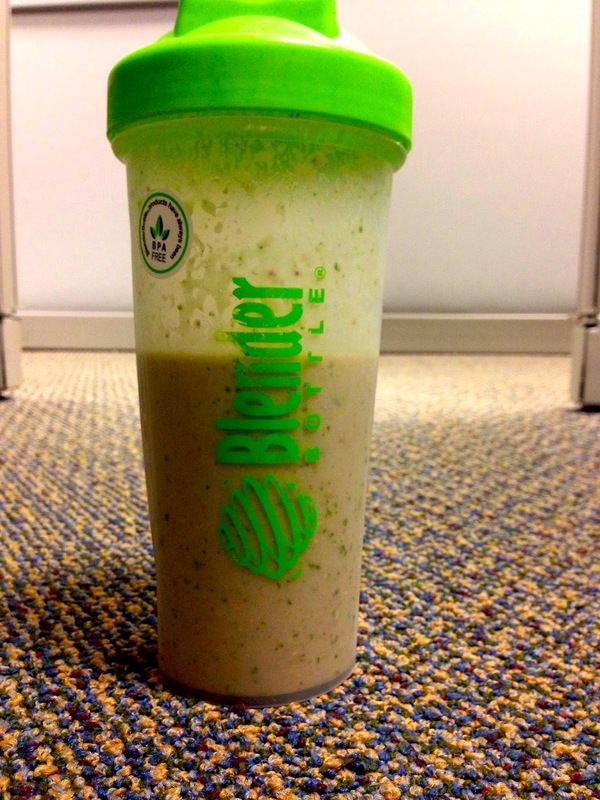 I've been loving blending up smoothies for breakfast and taking them to work. I typically add frozen strawberries, bananas, ground flax, water, almond milk and lots of greens! The other thing I love this Friday? Having off of work for the next 10 days! 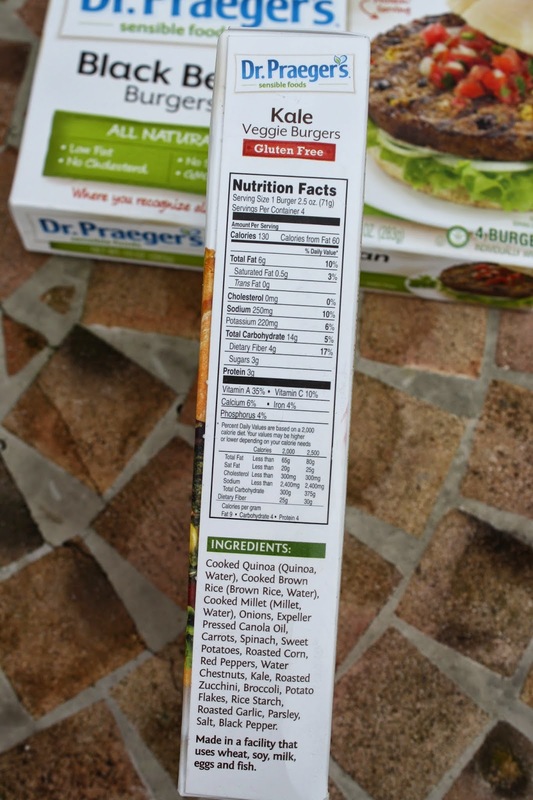 I was sent Dr. Praeger's veggie burgers to review, courtesy of Maxwell PR. All opinions are my own. I had tried Dr. Praeger's veggie burgers before, but not their new black bean and kale burgers. I was recently sent the two new flavors to try out and I was pleased with both! Kale Veggie Burger: Packed with quinoa, kale, carrots, sweet potato and seven other vegetables, the Dr. Praeger’s Kale Veggie Burger is Low in sodium, free of GMOs and a great source of Vitamin A. The Kale Veggie Burger is also gluten-free, vegan and kosher. Black Bean Burger: Featuring black beans and brown rice, the Dr. Praeger’s Black Bean Burger is a great source of vegetarian protein, with 12 grams per serving. It’s kosher and free of GMOs and saturated fats. I cooked the kale burger on the stove and it turned out really well. I enjoyed it with traditional burger toppings and some grilled peppers on the side. I microwaved the black bean burger and I wouldn't recommend doing the same. Next time, I'll cook it on the stove so the ends don't end up so crusty. I added the black bean one to a salad with pepper jack cheese, hemp seeds and ketchup drizzled on top. I'm looking forward to adding these to wraps and more salads in the coming weeks! If you're looking for some new "burgers deconstructed" recipes, check out this site. Thanks to Maxwell PR for sending me this product! My mama brought me some rhubarb from her garden recently and I didn't want to make another strawberry rhubarb crumble with it. 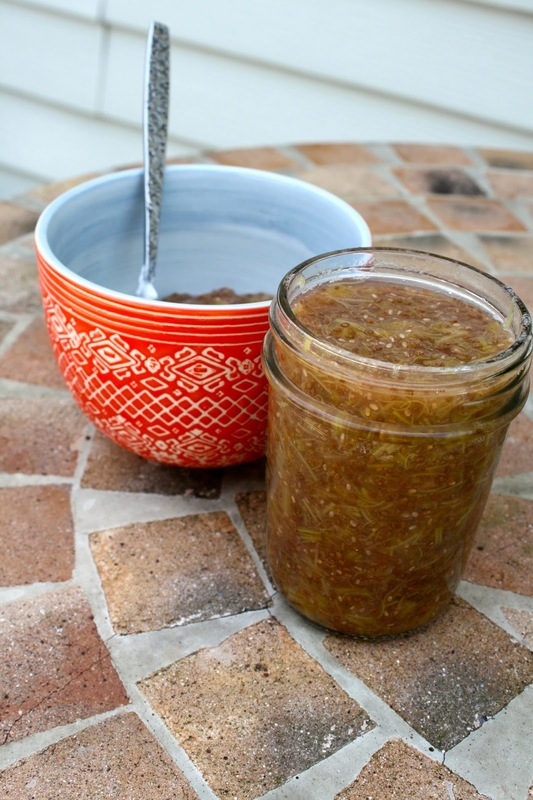 I was brainstorming one day and thought about rhubarb chia jam. Of course, once I googled it, there were already plenty of recipes for the same idea, so I adapted a couple of those! Bring all ingredients to a boil. Then, reduce heat and simmer for 10 minutes. Stir frequently and then remove from heat. 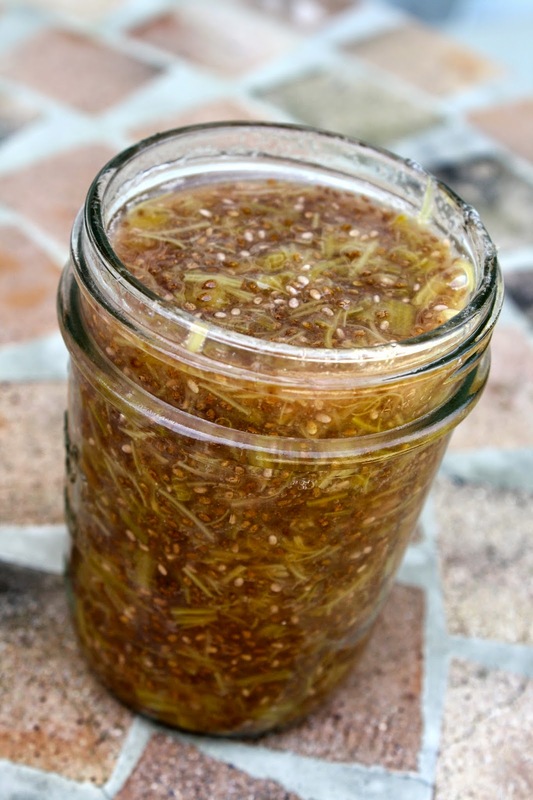 Let cool to room temperature before adding to jars and refrigerating. 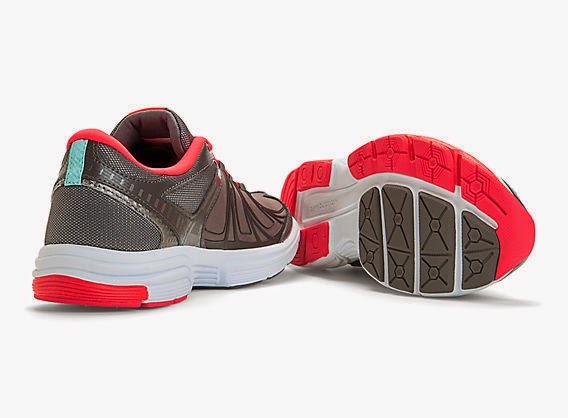 I was long overdue for a new pair of shoes and after trying on many pairs at the store, I ordered the New Balance Women's WX813 Cross-Training Shoe . This model felt best on my feet and supported my ankles well. 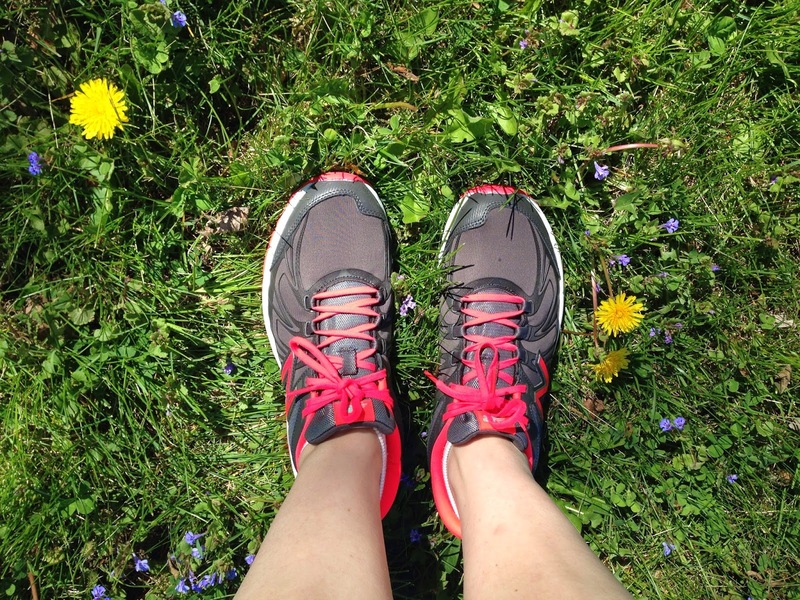 I used to work at a running shoe store and I learned a lot about shoes in general there, but especially going with your gut on how a shoe feels on your foot. Everyone is different and not every brand is going to feel great on your particular feet. the bright colors. Craig convinced me to get this pair vs. a black pair and I am glad I did. The bright shoelaces are cheery! they're true to size. I always get gym shoes in a size 8, whereas I wear a 7.5 in other types of shoes. the cushioning is really nice. I do worry that this will fade over time, but for now, I am loving it. the width of the shoe is perfect. My feet widen out a little bit when I step down and other brands are often too skinny for me. My old bosses at the running store always told me to look for a wider base when picking out a running or gym shoe. I thought these were much better than other models I looked at in the store. The one thing I am bummed about with these shoes is that the box said they were made in China. I like New Balance because they're an American brand, but I wish all of their shoes were made here. What is your favorite brand of gym shoes? Disclaimer: this post contains an Amazon affiliate link, which goes towards supporting this blog. 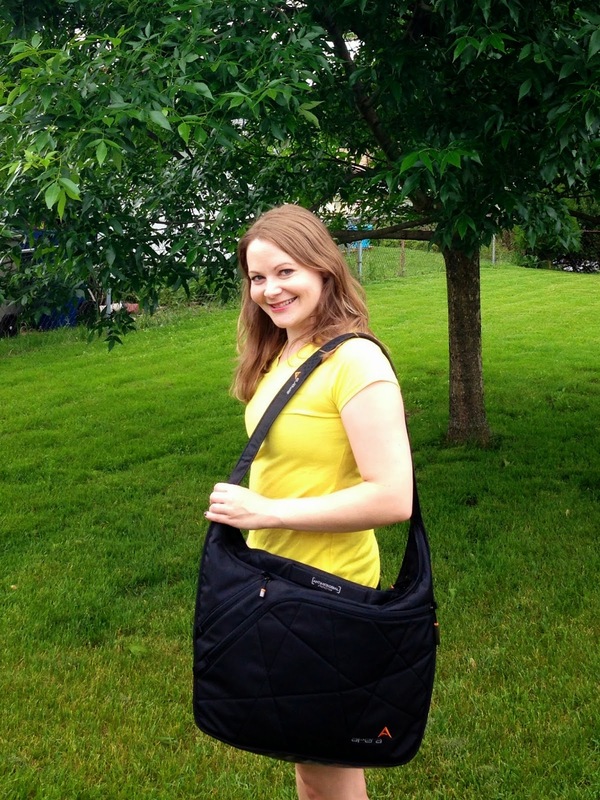 ...for the Apera bags sling tote in black. When I received it in the mail I was really impressed with the quality of the bag and the overall design. I love the spacious interior! I didn't have any compartments in my old bag and now I have so many to put items in. I never carried my water bottle in my old bag and now I just zip it into the side of the Apera bag. They're antimicrobial, which is meant to last for the lifetime of the bag. I love that this gym bag won't end up smelling like one! Washable insert that is water resistant. 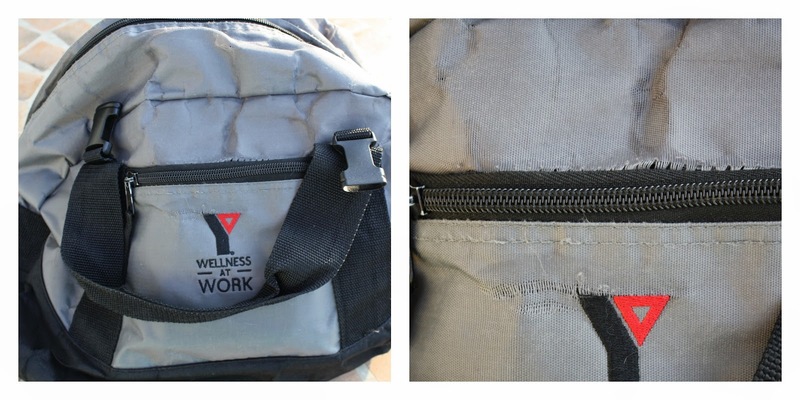 You can place your sweaty or wet items in here and then wash it with soap and water by hand when you're done with it. Vented compartments to keep your sweaty clothes dry and odor-free. For every three bags Apera sells, they donate one Spring Pack to the Special Olympics. 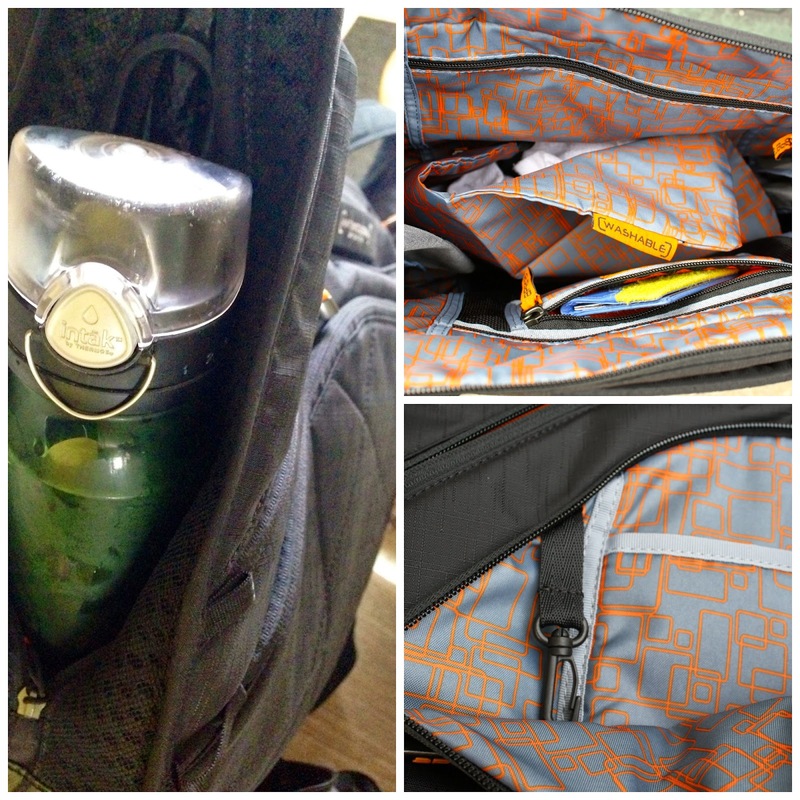 I think this bag is going to become my new favorite travel bag too! It will be great to stuff electronics, books and toiletries into. Apera just kicked off their anniversary sale and all bags are 20% off through July 31st! If you want to enter to win a Sprint Pack bag, click here and then just sign up for their newsletter. 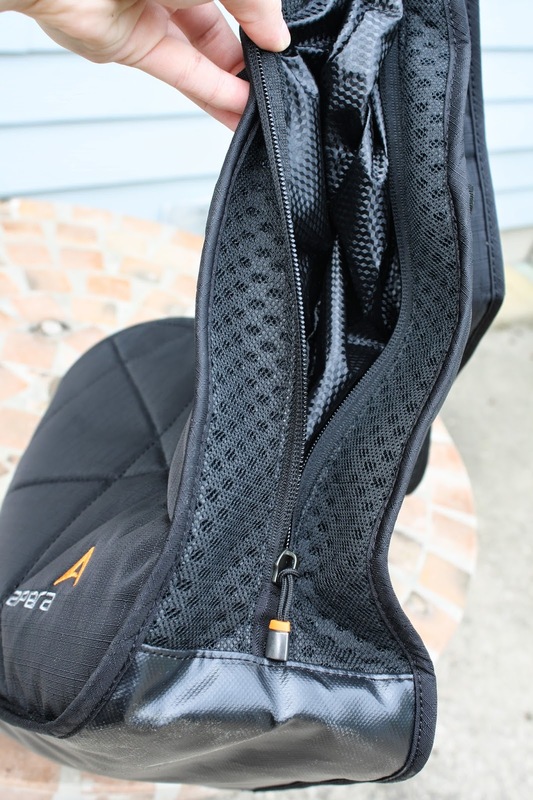 Apera Bags sent me the sling tote in exchange for a honest review. I was not compensated for this post. All opinions are my own. We managed to get a good mixture of things in this weekend. 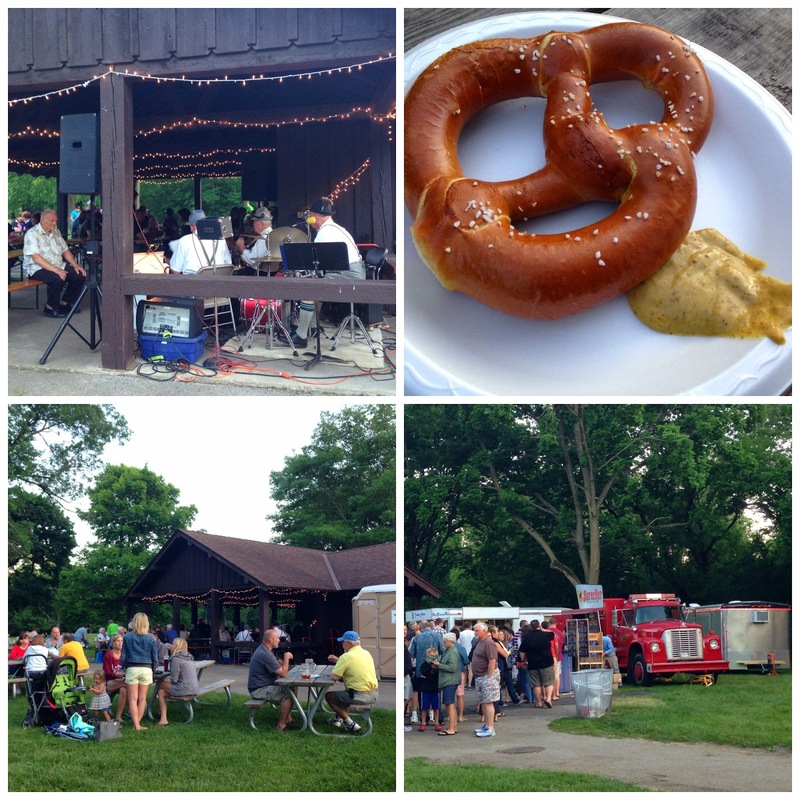 I didn't feel like going out to eat a restaurant on Friday night, so I drank a Strongbow cider to celebrate the week being over, took an hour nap, and then Craig woke me up to go out and have fun at the Sprecher traveling beer garden in Whitnall Park. It's located just east of the intersection of 92nd Street and College Avenue and will be there until June 15th. Then it travels onto other locations throughout Milwaukee. What a great idea! The line for beer was really long and I didn't feel like drinking anything since I was already sleepy enough! We shared a big pretzel with mustard instead, while we listened to the live German music. The place was packed with families and groups just hanging out and having a wonderful time. I am happy to see beer gardens becoming so common in the Milwaukee area, which makes sense with our German roots and all. I got up early Saturday morning and proceeded to clean for two hours straight. It felt good to get caught up on laundry, dishes, and organizing in general. After lunch, I went to Target, Trader Joe's and Starbucks. By the way, the sandals below are the Birkenstock Gizeh and they need to make a friday favorite list soon because they are amazingly comfortable and supportive. I've been craving guacamole lately and I finally put the chunk guac in my cart today. It's really good! Craig wanted to go out for Mexican food on Friday night, but I wanted to wait for Saturday so we'd have something to look forward to. I suggested we try out a restaurant a couple of blocks from us and I am glad we tried a new restaurant out. We were joking that if it ended up being really good, we'd want to walk there for drinks all of the time. I got a margarita on the rocks and Craig ordered a blue raspberry blended one. We've never seen that before on any menus! I ordered vegetarian tacos and Craig had chimichangas. I celebrated Mother's day a month late with my mom today. 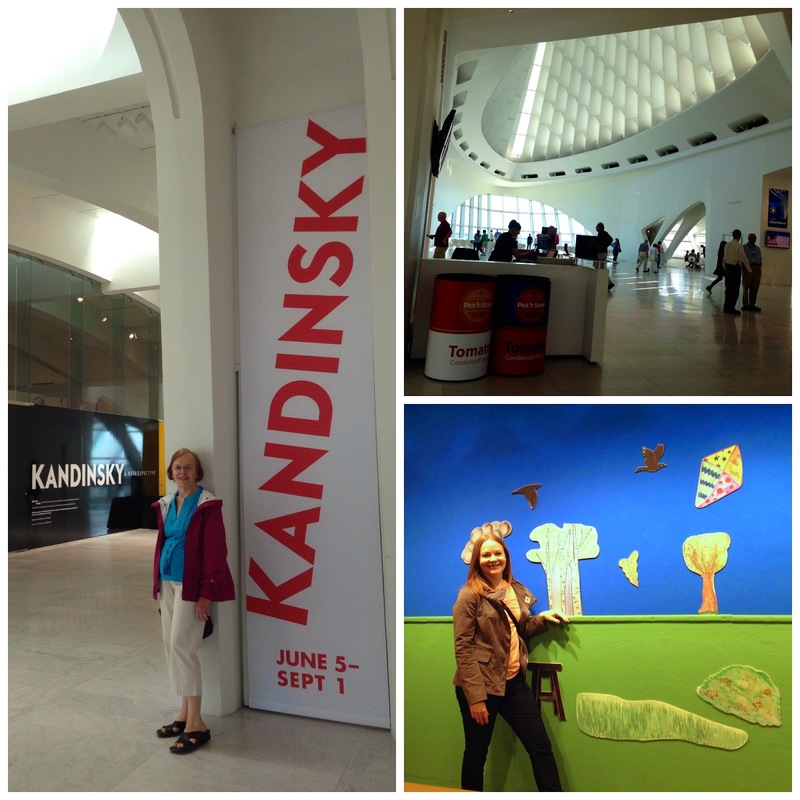 We were going to go to the Milwaukee Art Museum in May, but I wanted to wait until the Kandinsky show opened, which was Thursday. We both really loved the works featured in the exhibit! I saw one of my old co-workers there and talked to him for a long time too. After MAM, we went to the Milwaukee Public Market for lunch at the Green Kitchen. We ordered a salad and a veggie wrap to share. 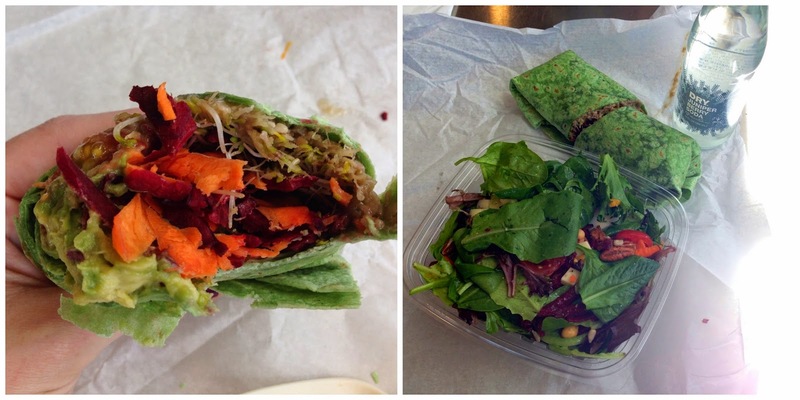 Both were delicious, nutritious and filling! Time to go read a book and meal prep for the week! I spent the majority of my weekend outdoors hiking and biking! Unfortunately, I have the sunburn on one of my arms to prove it (I am still getting used to how much natural sunscreen to slather on). I never get to spend an entire day with my friend Danielle, so we had to remedy that and go to Devil's Lake State Park together to hike! We got so lost trying to find the trail we wanted to be on and it was quite frustrating. At least the scenery was beautiful to take in, well everything except the very muddy trails we had to cross about 10 times! I need some hiking boots, not only for ankle support, but for their durability. After our long 9 mile hike in the woods, we enjoyed lunch at a picnic bench by the lake. Because we're crazy, we ventured off on another two mile hike after lunch. I insisted on an easier trail because I was already quite sweaty and tired at that point. We chose the Tumbled Rocks trail along the Western shoreline. I had never been on that side of the lake before, so it was fun to see something new. Walking along the lake and huge boulders was so peaceful. It was a very crowded trail though, while we barely saw anyone on our morning hike. We left Devil's Lake mid-afternoon and stopped at the Johnson Creek outlet mall on our way home. I was happy to find some light gray pants for work at Banana Republic and Danielle found a cute jean skirt at the Gap. I wasn't really that hungry, but Danielle was so we decided to stop for dinner in Delafield. 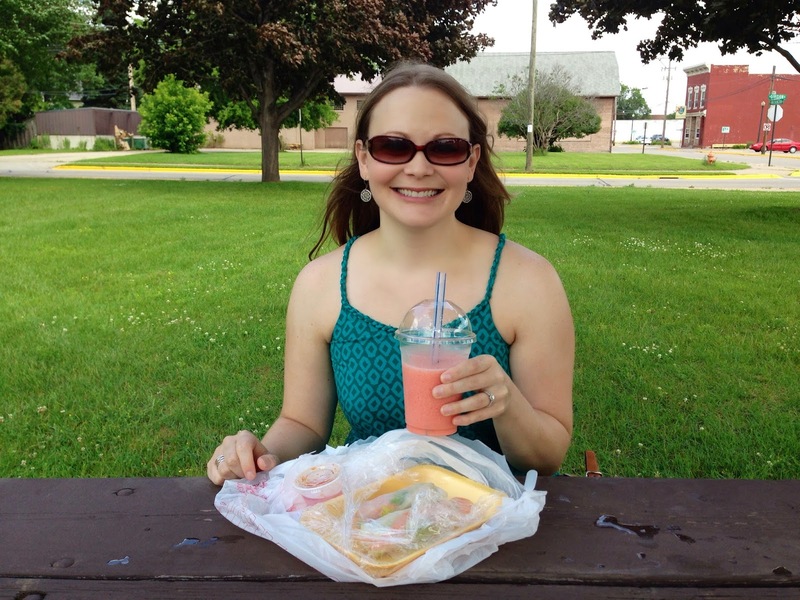 I saw that the Picnic Basket was mentioned as being off the freeway, but it was really in Nashotah, further down the road past Delafield's downtown area. I had heard that the Picnic Basket has excellent sandwiches. I was happy that their vegetarian sub had so many great vegetables on it and not just cheese and lettuce. Craig and I set out on the Hank Aaron trail over the weekend. Neither of us had ever been on it before and we were able to drive to 94th Street and Schlinger Avenue to pick it up there. Towards the end of our route, we came to the Menomonee Valley and the start of Three Bridges park. The mural is a really cool feature to stop and look at. The MV branch of the Urban Ecology Center is above me in the picture below. We took a break before heading back on the trail and rested by the Harley Davidson museum. I had a new to me bar, Trio, which was sort of dry, but it grew on me. Our way back was challenging because of the wind. The valley was extremely difficult to get through for both of us, but I especially lagged behind. I felt like my bike couldn't even go forward at one point! We ended up riding almost 13.75 miles and I was ready to relax for the rest of the weekend! 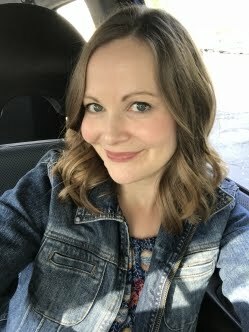 While I love being active two days in a row, it is really exhausting and I much prefer having one day of the weekend to read, run errands and clean.